1. Ford F100 – Who doesn’t love to see a Classic Ford F100 truck on the road? This classic was considered ahead of its time for its unibody design. It appealed not only to truck lovers but to suburbanites who loved its sleek look and roomy interior. 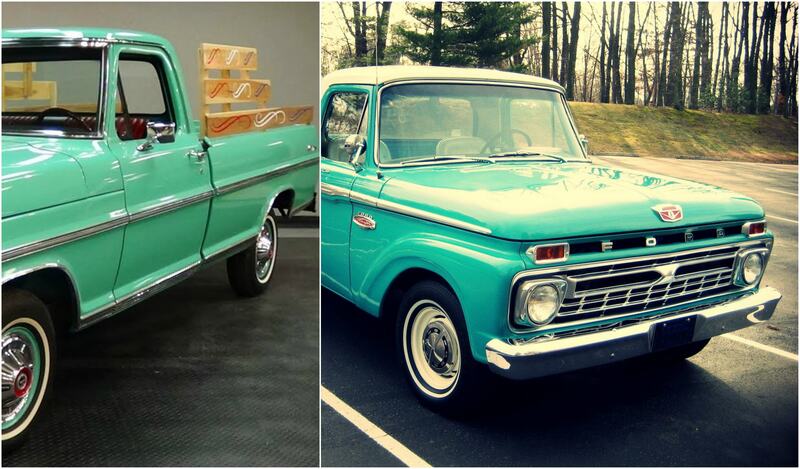 The Ford F100 is a true American classic and it is an affordable buy for a restore project. Replacement parts for the F100 are readily available for this project and of course you will have a blast picking out its new paint color. And while seat belts and rear view mirrors were optional in the original trucks we would recommend putting them in!